Wow! 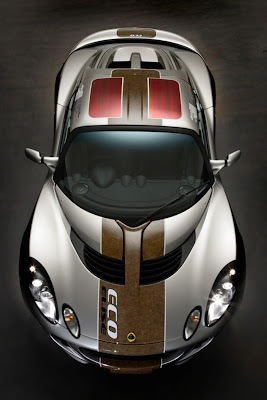 Lotus has just released details of a car called the Eco Elise. A hemped-up version of its nifty Elise sports car. The hood, hardtop and spoiler are all made of composite hemp fiber panels and the seat upholstery is made of plush hemp fabric. Plus, it looks pretty wild with those red solar panels (feeding power to the A/C!) on top. More details at the official press release HERE. I'm a fan of companies that inject a little more eco into our 'eco'nomy.